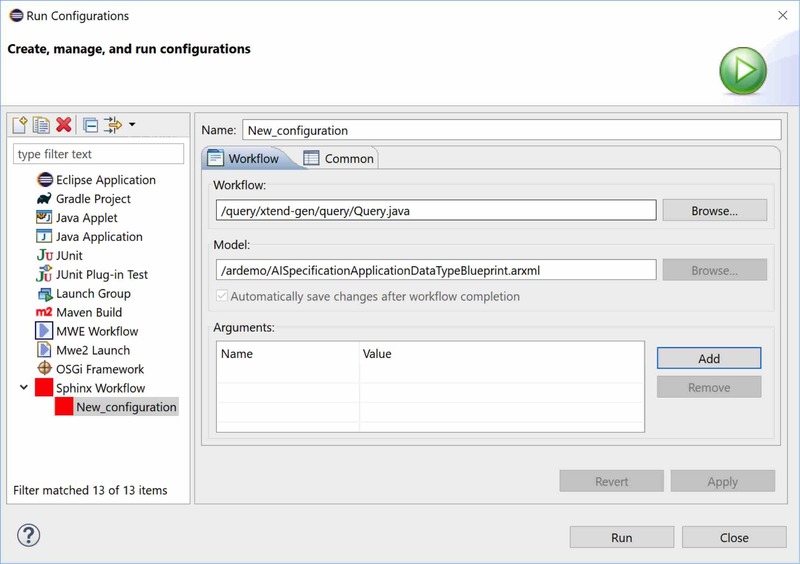 In the previous blog posts I showed you how the basic features of Eclipse and Artop can be used to perform basic searches and navigation on AUTOSAR models. However, there are also often cases, where a user wants to perform more complex queries on AUTOSAR models. E.g. we might want to find PDUs with specific characteristis (number of signals, certain ID range). In the example for this blog post, we want to find all SenderReceiverInterfaces in our model, that actually don't have any data element. Create an Eclipse "Plugin"-Project. The plugin-project provides the mechanism for Java/Xtend compilation and the setup of all the required dependencies. 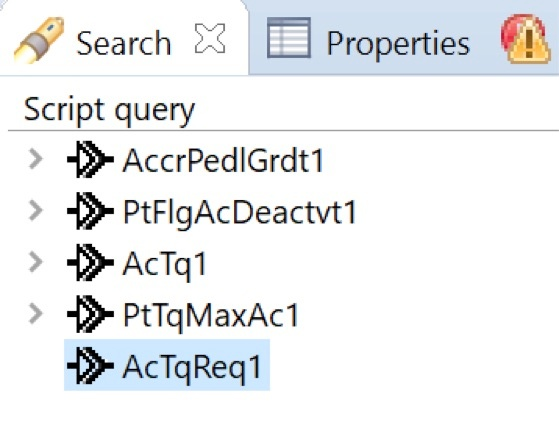 Create a "Run configuration" and execute the query. The workflow framework will invoke the invokeInternal method of all components in sequence. The next line contains our example query. For simplicity, we just use the ResourceSet of the selected object and filter the entire model for SenderReceiverInterface elements. The next filter statement looks for SenderReceiverInterfaces that have no data elements. A list is constructed out of that. In the short series of three blog posts, we have shown how Eclipse and Artop can be used to configure a powerful tool for examining AUTOSAR models at no cost. In addition to the normal navigations and model searches, you can interactively use any Java-based language to write custom model queries - we recommend Xtend because of its powerful language features that support model navigation. The example above is quite simple, but it is very easy to write much more powerful queries. In addition, you can use any Java-based libraries and frameworks to help you do the job. In a customer setting, we need to group PDUs according to various criteria and we make use of the JGraphT library.